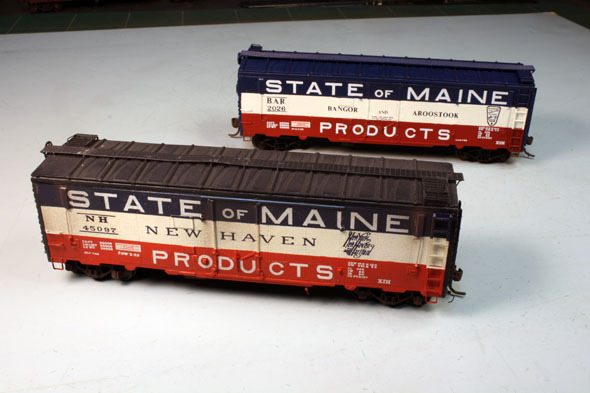 State of Maine NH and BAR cars pose on the WRD. 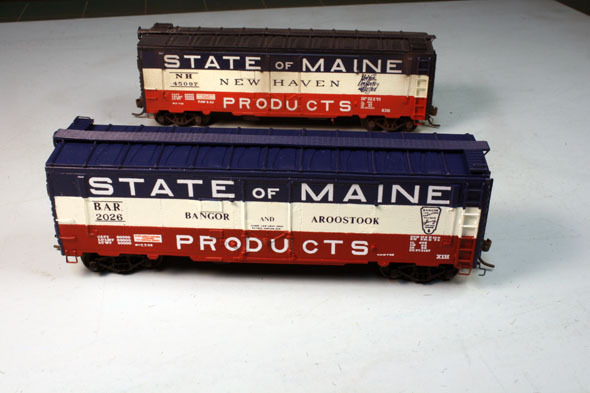 Warren Dodgson's model in the foreground which is now in my collection. Peter Mumby's new acquisition in the foreground built by Bob Bowes. The blue on the BAR car is a bit lighter than required but some PanPastel weathering will help this out. Always liked thouse cars, let the potatoes flow!! I really likes thouse cars, let the potatoes flow! I was in Allagash County last winter (skiing) and mentioned that I had one of these car. The local told me that they are not in use any longer because a string of them got stuck in a siding somewhere during a clod snap and all of the potatoes were ruined by being frozen. Now all shipped by truck, he says. 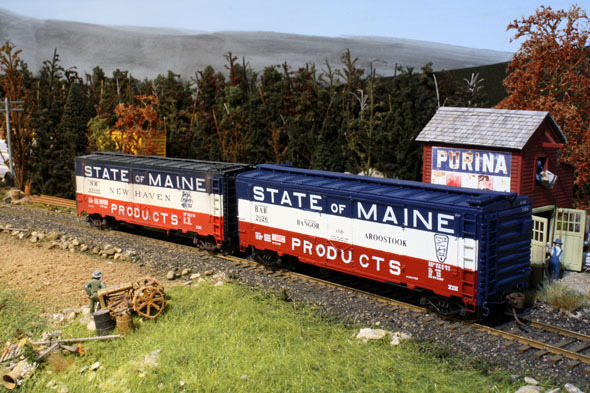 In my hometown (Graniteville, VT) trucks replaced rail because of the flexibility of shipping smaller loads. Up to the lake once again!